BEIJING — The Chinese and Russian navies launched eight days of war games in the South China Sea on Monday, in a sign of growing cooperation between their armed forces against the backdrop of regional territorial disputes. The "Joint Sea-2016" maneuvers include ships, submarines, ship-borne helicopters and fixed-wing aircraft, along with marines and amphibious armored vehicles who will conduct live-firing exercises, according to a Defense Ministry statement Sunday. Tasks will include defensive and rescue drills, anti-submarine exercises and the simulated seizure of an enemy island by marines from both sides. 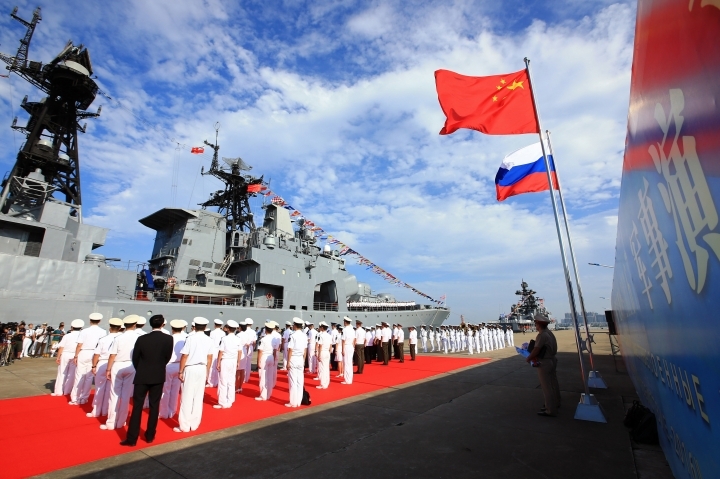 The exercise is part of an annual program which "aims to consolidate and advance the Sino-Russian comprehensive strategic partnership of coordination, and deepen friendly and practical cooperation between the two militaries," Chinese navy spokesman Liang Yang was quoted as saying. "It will also improve coordination between the two navies on joint defense operations at sea," Liang said. China's South Sea Fleet will make up the bulk of the forces, along with some elements from the North and East Sea fleets, Liang said. The ministry didn't say exactly where the drills would be held in the South China Sea, the site of heated territorial disputes between China and its Southeast Asian neighbors. 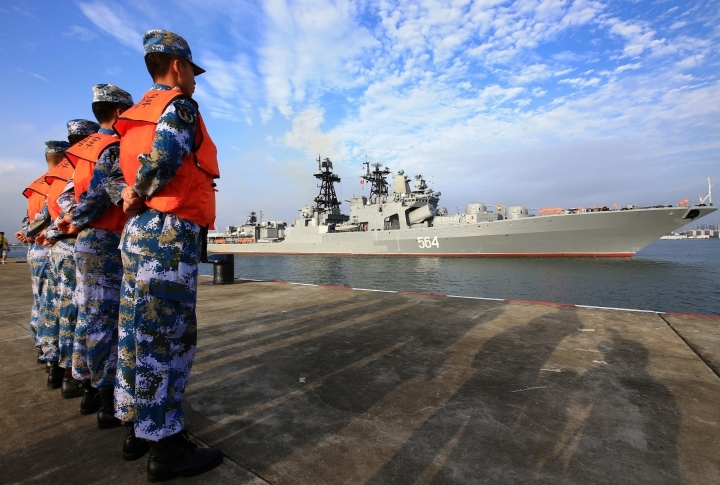 However, the official Xinhua News Agency said the Russian ships arrived early Monday in the Guangdong province port of Zhanjiang and the exercises would be held off the Guangdong coast, apparently in waters that are not in dispute. Joint Chinese-Russian drills have become increasingly common in recent years — this week's exercises are the fifth between the two navies since 2012 — with the countries joined in their mutual suspicion of the U.S. and its allies. Russia has been the only major country to speak out on China's behalf in its demand that the U.S. and other countries stay out of such arguments. That came as an arbitration panel in The Hague, Netherlands, issued a ruling invalidating China's claims to virtually the entire South China Sea, a result that Beijing angrily rejected as null and void. During a visit to China last month, the commander of the U.S. Pacific Fleet, Adm. Scott Swift, said "There are other places those exercises could have been conducted." He described them as part of a series of actions "that are not increasing the stability within the region." Xinhua rejected such sentiments in a commentary Monday, saying those viewing the exercises as threatening were "either ill-informed ... or misled by their prejudice about China and Russia." "A logical guess is that, for those who have bought the sensational claim regarding the drill, they probably only see words like 'island seizing' and 'South Sea Fleet' and start to imagine a war in the South China Sea," Xinhua said, blaming sensationalistic Western media reports that it did not further identify. State Department spokesman John Kirby said Monday that the U.S. did not view the exercises as a threat. He told reporters that as long as the exercises were not threatening or provocative and were conducted in accordance with international law, "there's nothing that precludes them from doing that." Russian news outlets said 18 ships, 21 aircraft and more than 250 marines from both sides would take part in the drills. The ships include destroyers, cruisers, a Russian battleship, amphibious warfare ships and supply vessels. 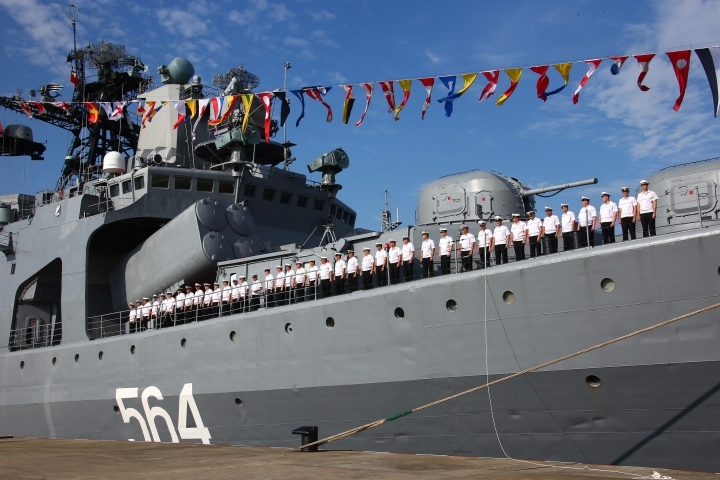 However, Xinhua said the Russian component would include three surface ships, two supply ships, two helicopters, 96 marines, and amphibious armored equipment. 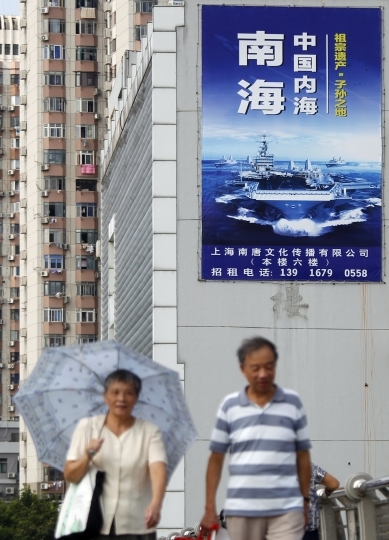 China's navy would contribute 10 ships, including destroyers, frigates, amphibious ships, supply vessels and submarines, along with 11 fixed-wing aircraft, eight helicopters, 160 marines and amphibious armor, it said.